Fr Martin Flannery was formally welcomed to the College at the week 3 assembly. 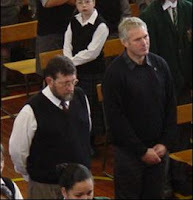 Fr Martin was supported at the welcome whakatau by Mr Tait. 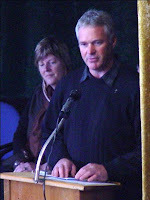 After the kapahaka group performed their welcome, greetings were exchanged. Fr Martin introduced himself to students, sharing his life journey and call to the Ministry. 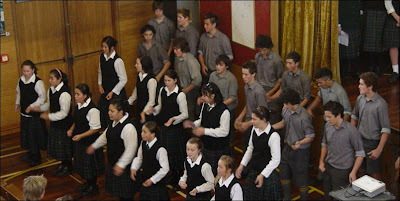 Mrs Miles’ year 12 class, who were in charge of the assembly liturgy, presented images of the school year set to music. The V8 values were incorporated to give Fr Martin a feel for the special character of the Verdon family.